Singapore, 15 September 2015 – Asia’s leading music festival returns for the seventh year with some of the biggest Asian artistes of the moment scheduled to perform in Singapore on 21 November 2015. Featuring artistes from around Asia, Thailand’s ‘Potato’, Japan’s ‘INKT’, Singapore’s ‘Caracal’ and Indonesia’s ‘J-Rocks’ are the initial line-up of headline acts scheduled to rock it out at the Skechers Sundown Festival 2015, with amazing artistes from Korea joining the ranks soon. Staying true to its mission, of uniting Asia through music as well as creating a platform for local talents to showcase their skills, the Festival will also feature fringe acts comprising up and coming artistes. Homegrown Singaporean musicians ‘Cheryl Loon’, ‘Cashew Chemists’ and ‘Farrago’ are some of the exciting artistes performing this year, with special guests ‘Ground Zero’ from Taiwan! “Skechers has a long history working with global music artistes. We’re excited to be presenting the Festival once more to show our support towards the progress of Asian music, giving a platform to Asian musicians to showcase their unique sounds,” said Susan Chua, Vice President, Skechers ASEAN. The iconic Skechers Sundown Festival is held each year at the Marina Promenade, F1 Pit Area, bringing one singular platform to bridge Asian artistes, fans and diverse Asian cultures through music and food. Since its first showcase in 2009, the festival has now grown to more than three times in audience size. Tickets (Early Bird @ $68, Category 2 General Admission @ $88; Category 1 Mosh Pit @ $118) go on sale from 18 September 2015 onwards. SINGAPORE, SEPTEMBER 16, 2014 – Sundown Festival is back in its sixth year with a fresh line-up featuring upcoming and locally established artistes from all over Asia with the addition of artistes representing three more countries this year – Singapore, Malaysia and India. An iconic music festival which brings Asian artistes and fans onto one singular platform to celebrate and bridge the diverse Asian cultures through music and food, Sundown Festival is an outdoor music event, held at the F1 Pit Building each year. Since its first showcase in 2009, the festival has now grown to more than two and a half times in audience size. Representing Taiwan, Chang Chen Yue, also known as A-Yue, will be performing at the festival, together with Kanika Kapoor, an Indian Punjabi singer known for her song, “Baby Doll”. Girl group S.O.S. from Indonesia whose song, “Drop It Low”, reached #3 on music charts on [V] Channel will be joining the line-up as well as Hong Kong TVB actress and singer Kate Tsui. 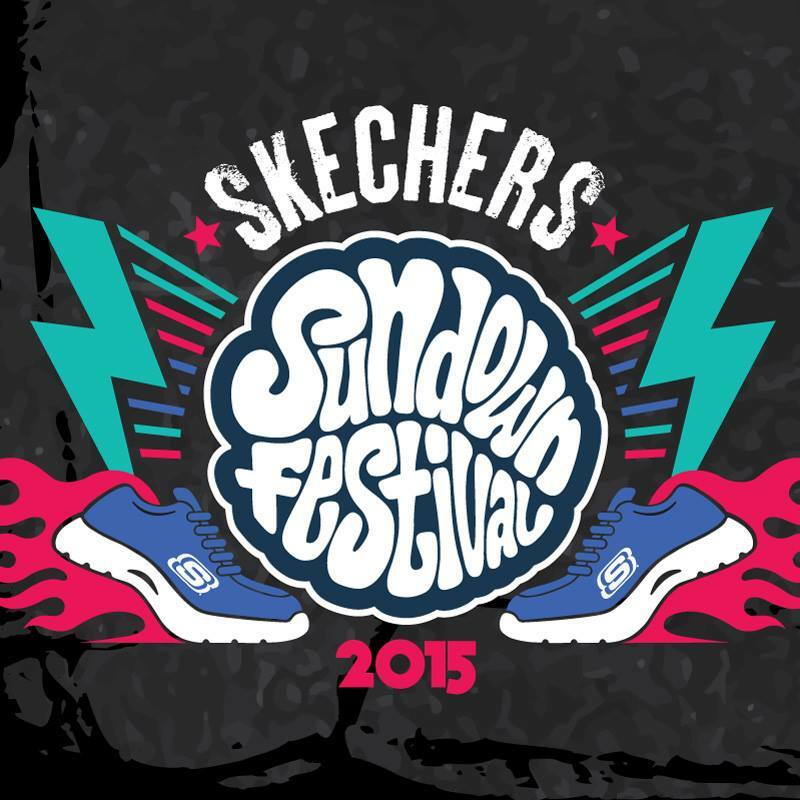 Recognising the growth in popularity of Asian music, global leader in lifestyle footwear, Skechers Singapore Pte Ltd, will be lending their support to this year’s festival as a presenting sponsor. Part of the agreement will allow customers of Skechers to meet and greet the artistes. More information will be released at a later date on their Facebook page at http://www.facebook.com/skechers. Starting in the evening at 4pm on 22 November, fans will also get to relish popular street food from the different Asian countries at the food stalls set-up on the festival grounds as part of embracing Asian cultures. Tickets (Cat 1: $138 / Cat 2: $118) will go on sale from Friday, 19 September and are available through Sistic sales channels. Early bird tickets are available at $88 until 29 September. For more information of the festival, please visit www.sundownfestival.sg or visit Sundown Festival’s Facebook page at http://www.facebook.com/mysundownfestival.